Breon Mitchell, one of this year’s three judges for The Story Prize (along with Sherman Alexie and Louise Steinman), is Professor of Germanic Studies and Comparative Literature at Indiana University, Bloomington. 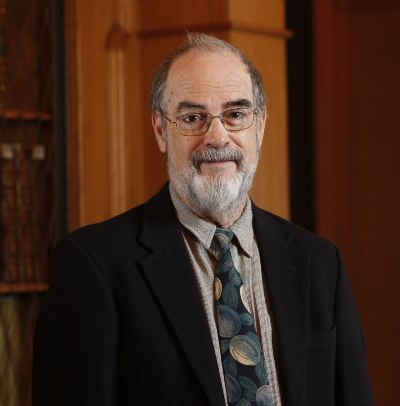 Professor Mitchell also serves as the Director of Indiana University’s Lilly Library, a repository for rare books, manuscripts, and other special collections. His critical interests span the fields of literary translation, Anglo-German literary relations, visual and literary arts, and the works of James Joyce, Samuel Beckett, and Franz Kafka. His distinguished and prolific career as a literary translator has led to widely lauded English language editions of Franz Kafka’s The Trial, Heinrich Böll’s The Silent Angel, and Günter Grass’s The Tin Drum, among others. 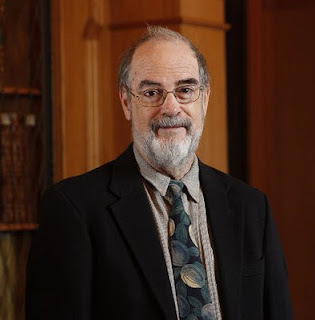 Recently, Story Prize intern Patrick Thomas Henry spoke with Professor Mitchell on the topics of literary translation, world literature, and the emotional effect of the short story. Patrick Thomas Henry: You’ve translated the work of many writers—including such figures as Siegfried Lenz, Franz Kafka, and Nobel laureates Heinrich Böll and Günter Grass—into English. Could you share how you arrived at a career in literary translation, and what drew you to these (and other) writers? Breon Mitchell: My life as a literary translator began at the Jayhawk Café in Lawrence, Kansas, eating peach pie and drinking Pepsi, translating Hugo von Hofmannsthal's Death and the Fool into blank verse with a friend. We were second-year German college students, just back from a summer in Germany in 1961, alive with enthusiasm for Hofmannsthal’s glowing language and with his message to live life to the full before it simply passed us by. Our translation filled almost every evening that semester, and when we were finished we did what most would-be writers did at college—founded a literary magazine and published the passages we loved best, along with translations by any other German students foolhardy enough to lift their eyes above their abilities. Happily, we knew enough to include the German originals, although I can’t say we always knew quite enough about copyright laws. In the coming years, while teaching at Indiana University, I had the luxury of translating exactly what I wanted, by those authors I most admired, and I relished the feeling that I was playing at least some small part in our nation’s cultural life by introducing German writers to American readers. PTH: What challenges do you encounter when translating fiction? The overall challenge of translating fiction is generally capturing the tone and style of the original. (Conveying the literal meaning of the text is simply a matter of knowing the source language sufficiently well.) Other special challenges are presented by such issues as the use of dialects, where the translator runs the risk of making a Bavarian from Munich sound like he’s from Brooklyn, with resulting cultural confusion; or by an author whose grammatical innovations, when rendered in English, make the translation sound strangely awkward. Specialized vocabularies, arcane snippets of local color, and hidden quotations from famous passages in German literature unknown to English-language readers tempt the editor and sometimes the translator toward footnotes, which may disturb as much as they enlighten. These are just a few of the challenges literary translators face on a daily basis—and they are what make translating so much fun. PTH: “World literature” has always seemed, to me, as a generic course title for a class focusing on literature written in languages other than English. That being said, however, I feel that this term—“world literature”—has one prime, pedagogical function: These stories must contain some elements that allow the prose to affect readers across cultures, across nationalities. What qualities do you think a work of fiction requires in order to be “world literature” in this sense, that the prose appeals to readers across nations? BM: A work of “world literature” is generally thought to display universal human values and emotions familiar to all readers, of whatever nation. But when publishers ask “Will this work travel across the ocean?” they simply mean, is it tied too closely to the country of origin to be understood easily by American readers. 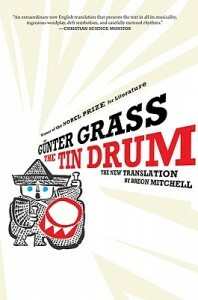 Günter Grass felt his novel The Tin Drum contained too much local color to be successful abroad, yet it became the first major post-WWII German novel to reach an international audience. In the final analysis, “world literature” consists of those works, regardless of their difficulty and special ties to one nation or another, that have found their way into the hearts and minds of readers of all nationalities. What we should also remember is that “world literature” could not exist without literary translation, and that the most of the great works that move us deeply are read in translation. PTH: As a judge, what qualities are you looking for in the three short story collections that will be finalists for The Story Prize? BM: Samuel Beckett once said that most people could only enjoy a text if it reminded them of something else they had read. We enjoy hearing echoes of earlier texts in a new one, like musical motifs borrowed from compositions of another age. Yet we also set a high value on originality—we want to be surprised, not just by a turn of events, but by some element we may never have encountered before. We like the sense of comfort a short story provides by serving as one link in the long and complex history of the genre, while at the same time we wish to be jolted, even if gently, out of the groove of our expectations. As a judge, I hope to be open to both the lure of tradition and the delights of innovation. It is impossible to predict reactions to a new text; that’s what makes reading so pleasurable and why I look forward so to the final three short story collections. Will I be swept away by the sheer excellence of the writing, will I be moved, or frightened, or uplifted? Will my emotions be aroused—will my mind be engaged at some deeper level? I’m certain of one thing—the problem will not be finding stories that meet my standards of quality. The problem will be choosing among them.